Talk about things on an atomic and molecular level. Prezi Presentation Template for presenting about very small things. A molecular shape on a 3D green-blue neuron background. A good template for presentations about science, chemistry, nanotechnologies or biology, viruses, diseases, chemical weapons. 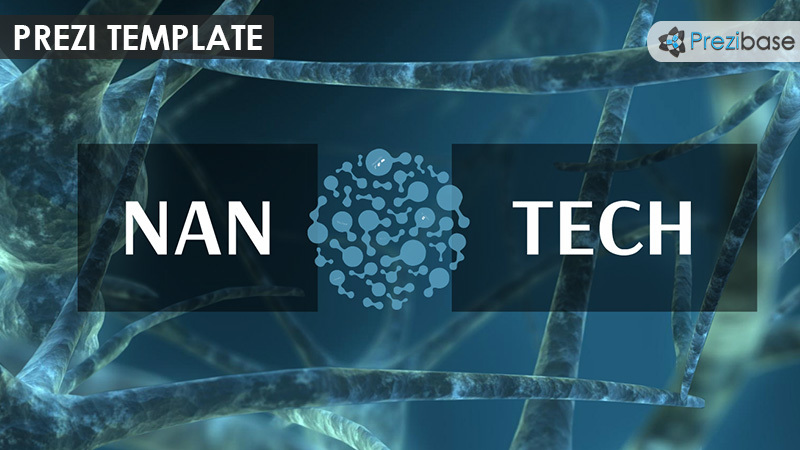 Change the title (Nanotech) or delete and add your own text. This entry was posted in Best Prezi presentation templates and tagged 3d, atoms, attach, beaker, bio, bio war, biology, biotech, biotechnology, blue, brain, cells, chemical, chemical weapon, chemistry, fabric, green, mechanic, mechanical, mechanicalrobots, microscope, molecular, molecules, nano, nanotech, nanotechnology, neuron, prezi template, prezi templates, scale, science, scientist, small, zoom.